This waterbird is only 15 inches in total length, but its wingspan is an impressive 36 inches. This is indicative of its capability for long flights over its extended range. While quite common in many places in Eurasia, it's uncommon in our islands, thus earning star treatment from birders and bird photographers whenever it is seen flying along our coasts. Bathed in early morning golden light, this individual was fishing at Manila Bay when I got lucky to be able to capture it with full wingspread. Habitat - along coast at river mouths, in bays, mud and coral flats, and ricefields. 700 mm, 1/1600 sec, f/6.3, ISO 400, manual exposure, 475B/3421 support . Hello - wonderful pictures. 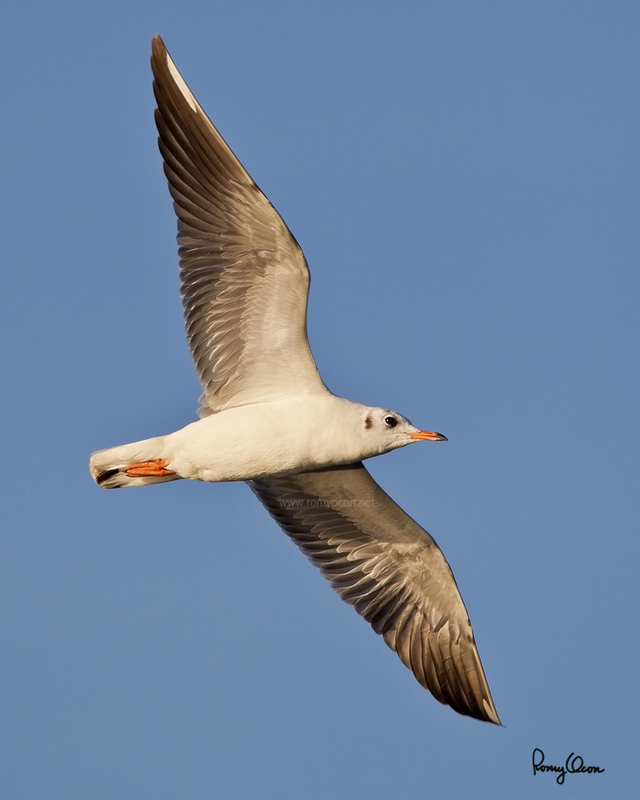 I think this is a Brown-headed Gull.